WOW!!! Check out this. 2014 Kia Sedona LX Claret Red 3.5L V6 DOHC 24V Third Row Seat, Bluetooth, CD Player, Cruise Control, Keyless Entry, Portable Audio Connection, Power Locks, Multi-zone Climate Control, Power Windows, Steering Wheel Controls, Alloy Wheels. Clean CARFAX. KBB Fair Market Range High: $11,202 Priced below KBB Fair Purchase Price! 17/24 City/Highway MPG Awards: * 2014 KBB.com 10 Most Affordable 3-Row Vehicles * 2014 KBB.com Brand Image Awards Reviews: * Big families often have tight budgets, which is why the 2014 Kia Sedona is the model minivan. Safe, well equipped and reasonably priced, the Sedona may not hold its value as well as a Honda or Toyota, but it can more than match them for features, comfort and power. Source: KBB.com * Smooth ride; comfortable, quiet cabin; long warranty coverage. Source: Edmunds * The Kia Sedona minivan returns for 2014 with updated exterior styling and interior touches that will accommodate your modern family. The new exterior design boasts an update to the look of the front end, fog lights that come standard, and new wheels. With the Sedona you'll have peace of mind with safety features like a Back-Up Warning System, Electronic Stability Control, six airbags, and Four-Wheel Disc Brakes with Anti-Lock Brakes. The Sedona comes standard with a 6-speed automatic transmission and a powerful 269-horsepower, 3.5-liter V-6 engine. It gets an EPA estimated 17 MPG City and 24 MPG Highway. As with all Kia models, the Sedona offers plenty of standard features at a competitive price. Kia has thought of everything for families on the go, such as center console storage space for your iPads or tablet computers. The interior comfortably seats seven passengers. The second row seats can slide and fold forward to get to the third row easier, or flip and fold forward for more cargo space. The third-row seats fold into the floor for easy cargo space expansion. The Sedona comes in your choice of the base LX or upscale EX trims. The LX trim includes SiriusXM satellite radio, Bluetooth, remote keyless entry, and USB and Auxiliary Input Jacks for connecting your mobile devices. The EX trim includes leather upholstery, power front seats and a rear backup camera. Other stylish and convenient available options include power sliding doors for the LX, or EX upgrades like a Navigation System and Rain-sensing Wipers. 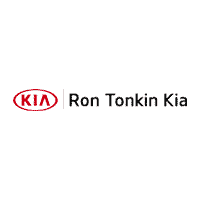 Source: The Manufacturer Summary Come on in to Ron Tonkin Kia in Gladstone to test drive today! 2005 Subaru Outback 2.5i 2.5L Phase II SOHC Clean CARFAX. Come on in to Ron Tonkin Kia in Gladstone to test drive today! WOW!!! Check out this. 2017 Toyota Prius v Five Magnetic Gray Metallic 1.8L 4-Cylinder DOHC 16V VVT-i Aluminum Backup Camera, Bluetooth, Cruise Control, Keyless Entry, Portable Audio Connection, Power Locks, Power Windows, Steering Wheel Controls, One Owner, Alloy Wheels, Multimedia Package, Navigation System, ABS brakes, Auto-Dimming Rearview Mirror w/Homelink, Electronic Stability Control, Front Fog & Driving Lamp, Heated door mirrors, Illuminated entry, Low tire pressure warning, PRIUS v Five, Remote keyless entry, Traction control. CARFAX One-Owner. Clean CARFAX. KBB Fair Market Range High: $25,674 Priced below KBB Fair Purchase Price! 43/39 City/Highway MPG 43/39 City/Highway MPG Awards: * 2017 KBB.com Best Resale Value Awards * 2017 KBB.com 10 Most Awarded Brands Reviews: * SUV-like passenger and cargo space with extremely un-SUV-like fuel economy; comfy ride on rough roads. Source: Edmunds Come on in to Ron Tonkin Kia in Gladstone to test drive today! WOW!!! Check out this. 2015 Lexus RX 350 Silver Lining Metallic 3.5L V6 DOHC Dual VVT-i 24V Backup Camera, Bluetooth, CD Player, Cruise Control, Keyless Entry, Leather Seats, Portable Audio Connection, Power Locks, Multi-zone Climate Control, Power Windows, Premium Audio, Steering Wheel Controls, Low Miles, AWD/4WD, Audio Package, Alloy Wheels, Premium Audio Package, Sunroof/Moonroof, Driver Seat/Steering/Mirror Memory - 3 Settings, Leather Seat Trim, One-Touch Open/Close Moonroof, Power-Folding Htd Electrochromic Outside Mirrors, Premium Package, Rear Armrest Storage w/Lid, Roof Rails. CARFAX One-Owner. KBB Fair Market Range High: $29,068 Priced below KBB Fair Purchase Price! Odometer is 13576 miles below market average! 18/24 City/Highway MPG Awards: * 2015 KBB.com Best Resale Value Awards Reviews: * Excellent fuel economy; smooth ride; quiet and attractive cabin with high-quality materials; comfortable rear seating; generous standard features. Source: Edmunds * Quiet and attractive cabin with high-quality materials; plush ride; comfortable rear seating; generous standard features. Source: Edmunds * If you desire a 5-passenger luxury SUV in the $40,000-$50,000 range that has comfortable and quiet driving manners, an excellent reputation for reliability, and the space to accommodate loads of shopping bags or sporting gear, it's hard to go wrong in a Lexus RX. Source: KBB.com Come on in to Ron Tonkin Kia in Gladstone to test drive today! WOW!!! Check out this. 2015 BMW X5 xDrive35i Jet Black 3.0L I6 DOHC 24V TwinPower Turbo Third Row Seat, Backup Camera, Bluetooth, CD Player, Cruise Control, Heated Seats, Keyless Entry, Leather Seats, Portable Audio Connection, Power Locks, Multi-zone Climate Control, Power Windows, Premium Audio, Premium Wheels, Steering Wheel Controls, AWD/4WD, Alloy Wheels, Driver Confidence Package, Luxury Package, Power Package, Sunroof/Moonroof, 4-Zone Automatic Climate Control, Active Blind Spot Detection, Active Driving Assistant, Comfort Access Keyless Entry, Dakota Leather Upholstery, Driver Assistance Package, Driver Assistance Plus, Head-Up Display, Luxury Line, Luxury Line-Specific Design Elements, Premium Package, Rear-view Camera, Satellite Radio w/1 Year Subscription, Satin Aluminum Roof Rails, Speed Limit Information, Surround View, Wheels: 19" V-Spoke Light Alloy (Style 450). Clean CARFAX. KBB Fair Market Range High: $32,959 Priced below KBB Fair Purchase Price! 18/27 City/Highway MPG 18/27 City/Highway MPG Awards: * 2015 KBB.com 10 Best Luxury SUVs Reviews: * Potent and efficient engines; luxurious and comfortable interior; huge list of features; steadfast high-speed stability. Source: Edmunds * From its sleek lines to its sporty athletic stance the BMW X5 demands attention. The X5's aggressive air intakes direct more air to the engine for increased power, centrally positioned fog lights and Xenon Adaptive Headlights with LED Daytime Running Lights distinguish the vehicle's front facia. A matte aluminum finish along with front and rear underside protective cladding, allow the X5 to navigate unpaved roads as easily as tarmac. The long wheelbase and short overhangs at the front and rear, muscular hood and square-shape flared wheel arches, contoured flanks and L-shape rear taillights featuring LED technology all add to the design. With the addition of sumptuous interior materials, the X5 truly becomes a sanctuary of unrivaled comfort and taste. Lower the split-folding rear seats to create up to 66cu. ft. of cargo space or, when equipped with third-row seats for two, the driver can share the journey with up to six passengers. Other features include available panoramic glass moonroof and rear seat DVD player with 8 inch screen. With a single twin-scroll turbocharger the xDrive35i will perform 300hp and 300 lb-ft of torque. Generating 413lb. ft. of torque with 255hp, an inline-six Advanced Diesel engine is available on the xDrive35d. A 4.8L V8 engine yields 445hp and 479 lb-ft of torque on the xDrive50i. The M Power V8 Turbo comes from the M performance division giving the X5 M an impressive 555hp. With BMW Assist, you have an emergency switchboard, navigation system, and information service, all in one on an integrated touchscreen. A premium Harman Kardon system puts the power of 11 speakers at your disposal. Using BMW Apps you can extend the communication and entertainment of your X5 with tailor-made applications. Source: The Manufacturer Summary * Powerful and fuel-efficient engines; engaging handling; upscale interior; hatchback-style utility. Source: Edmunds Come on in to Ron Tonkin Kia in Gladstone to test drive today! WOW!!! Check out this. 2016 Toyota 4Runner Limited Blizzard Pearl 4.0L V6 SMPI DOHC ABS brakes, Alloy wheels, Body Color Heated Mirrors, Compass, Electronic Stability Control, Emergency communication system, Front dual zone A/C, Heated door mirrors, Heated front seats, Heated/Ventilated Front Bucket Seats, Illuminated entry, Leather Seat Trim, Low tire pressure warning, Power moonroof, Power Tilt & Slide Moonroof w/Sunshade, Remote keyless entry, Traction control. CARFAX One-Owner. KBB Fair Market Range High: $34,156 Priced below KBB Fair Purchase Price! 17/21 City/Highway MPG Awards: * 2016 KBB.com Best Resale Value Awards Come on in to Ron Tonkin Kia in Gladstone to test drive today! WOW!!! Check out this. 2013 Ram 2500 Laramie Deep Cherry Red Crystal Cummins 6.7L I6 Turbodiesel Backup Camera, Bluetooth, CD Player, Cruise Control, Heated Seats, Keyless Entry, Leather Seats, Portable Audio Connection, Power Locks, Multi-zone Climate Control, Power Windows, Premium Audio, Premium Wheels, Steering Wheel Controls, One Owner, AWD/4WD, Audio Package, Convenience Package, Customer Preferred Package, Memory Package, Multimedia Package, Navigation System, Power Mirror Package, Premium Audio Package, Sunroof/Moonroof, Auto High Beam Headlamp Control, Convenience Group, ParkSense Rear Park Assist System, Rain Sensitive Windshield Wipers. CARFAX One-Owner. Clean CARFAX. KBB Fair Market Range High: $43,423 Priced below KBB Fair Purchase Price! Reviews: * If you need to pull a class-leading 30,000 pounds - or just want the knowledge that your truck can - the Ram Heavy Duty has the muscle to do so. Meanwhile, its comfortable interior can coddle calloused hands and its sophisticated technology can keep you connected. Unlike its rivals, Ram HD trucks can be had with a manual transmission. Source: KBB.com * High-quality cabin; massive torque with diesel/automatic powertrain; roomy rear-seat room (Mega Cab); quiet highway ride. Source: Edmunds Come on in to Ron Tonkin Kia in Gladstone to test drive today! WOW!!! Check out this. 2016 Chevrolet Silverado 3500HD LTZ White Duramax 6.6L V8 Turbodiesel Backup Camera, Bluetooth, Cruise Control, Heated Seats, Keyless Entry, Leather Seats, Portable Audio Connection, Power Locks, Multi-zone Climate Control, Power Windows, Premium Audio, Premium Wheels, Steering Wheel Controls, Low Miles, One Owner, AWD/4WD, Audio Package, Alloy Wheels, Appearance Package, Memory Package, Multimedia Package, Navigation System, Off Road Package. CARFAX One-Owner. Clean CARFAX. KBB Fair Market Range High: $48,745 Reviews: * Impressive hauling and towing capabilities; refined and quiet ride; strong diesel engine; available CNG fueling for regular V8; solid build quality. Source: Edmunds Come on in to Ron Tonkin Kia in Gladstone to test drive today!